Because of her nearby homes, they called the coastal area in this part of Waikīkī Queen’s Surf Beach. During WWII, the house was used for military retreats and other military uses. Admiral Nimitz, General Douglas McArthur and staffs spent time there. 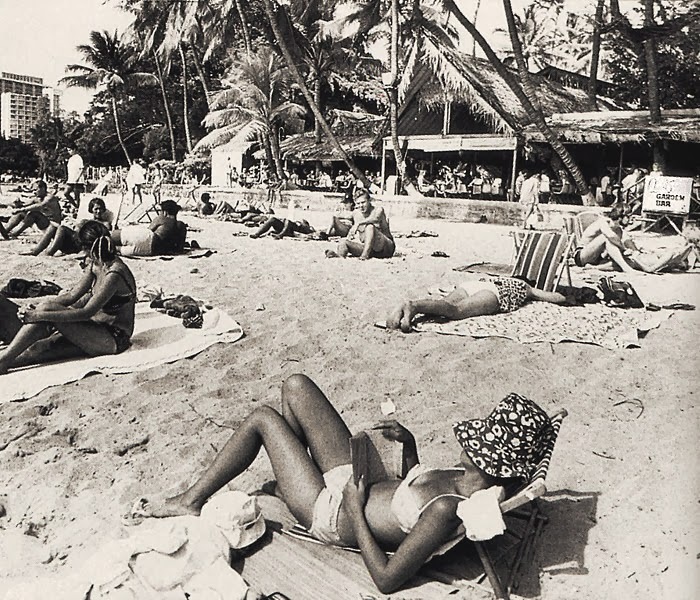 After World War II (and following Holmes’ death,) the City & County of Honolulu bought the property and leased it to the Spencecliff Corporation restaurant chain; it became their flagship property and operated it as the hugely popular Queen’s Surf Restaurant and Nightclub. Mossman sang and did comedy and included a lot of others in the evening’s entertainment. The footprints of many of these Island and internationally known entertainers lined the stairway up to the second floor bar. Here is Kui Lee singing Days of My Youth (a reminder for me of growing up in the Islands, and the one time I was able to sit on the beach and listen to Kui Lee perform – unfortunately, Kui Lee died of cancer at the age of 34 in 1966.) Click HERE for a YouTube for one of Kui Lee’s songs. Queen’s surf also offered a regular lūʻau on the property. 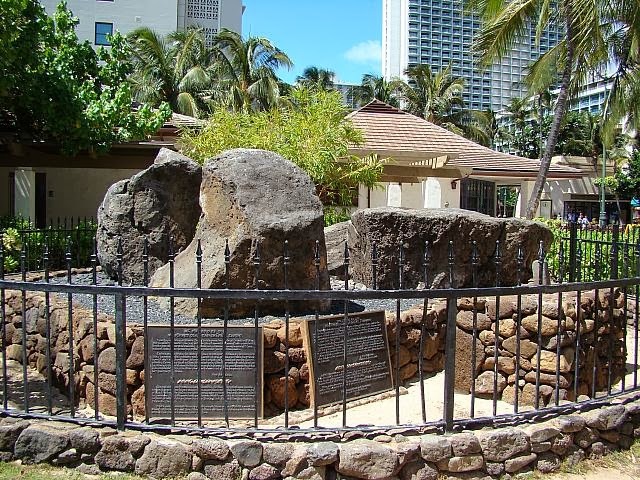 The stories vary on the cause, but later there was a lease dispute with the City and the Queen’s Surf and the neighboring Kodak Hula Show were evicted, the Queen’s Surf was torn down (1971) and the Waikīkī beachfront area was turned into a public park. The image shows Queen’s Surf from the beach. In addition, I have added other images in a folder of like name in the Photos section on my Facebook and Google+ pages.